ARTOTEL Group is proud to announce the opening of its newest hotel in 2019, ARTOTEL Wahid Hasyim – Jakarta, the eighth hotel managed by ARTOTEL Group and the second located in Jakarta. ARTOTEL Wahid Hasyim – Jakarta has 122 rooms with a choice of Studio 20 and Studio 40 categories spread over two buildings, East and West Wing. Each room comes with a modern contemporary interior design that has an art nuance and is equipped with a 43 inch TV, Dolce Gusto coffee divider, and ARTOTEL’s unique amenities. Supporting facilities include BANG BANG Restaurant and Bar which opens 24 hours and presents a contemporary lifestyle. Guest can enjoy live entertainment every day, Asian cuisine, and various choices of drinks, ranging from soft drinks, juice, to beer, wine, and spirit. 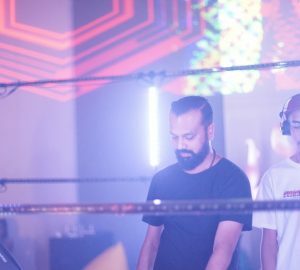 In addition, the hotel also equipped with an ARTSPACE, the art gallery space which is a mandatory facility in every ARTOTEL, and MEETSPACE as a meeting room that has a capacity of up to 50 people. 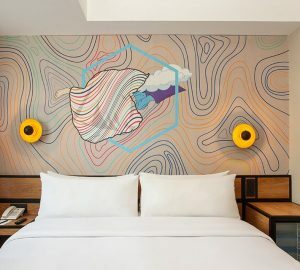 As a hotel in which the interior design is inspired by art, ARTOTEL Wahis Hasyim – Jakarta applies elements of art in every corner of its facilities by taking the theme “Metamorphosis” and collaborating with 5 local contemporary artists specifically curated by the ARTOTEL Group’s art division. The artists are Lala Bohang, Rega Ayundya, Ricky Janitra, Restu Taufik Akbar, and Marishka Soekarna. 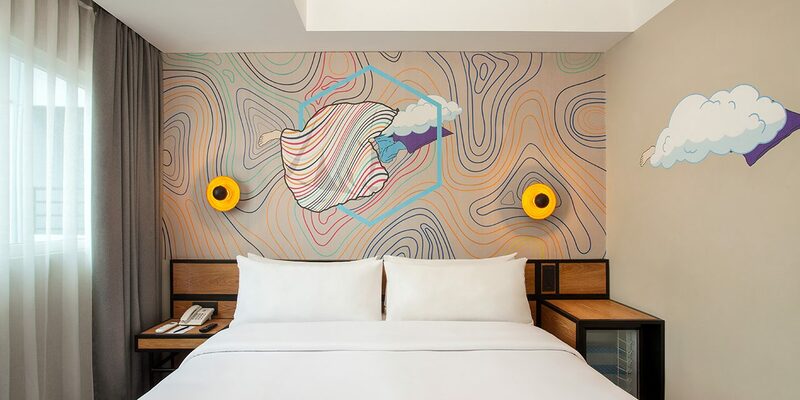 This Metamorphosis theme is an inspiration for artists in making murals in every corner of ARTOTEL Wahid Hasyim – Jakarta. The continuity of contemporary art with the theme of Metamorphosis is evident in the harmony of bright colors and animative figures displayed in the work of every artist.